Thanks to an extensive range of cutting and design techniques, CPL Packaging is offering a brand new acrylic jar to the market as part of the company's iconic diamond collection. The product is already proving to be a very popular item in the cosmetic industry. There are many distinctive product selections available within CPL’s extensive catalog. As part of this, they offer many items in their exclusive Diamond Collection, including the fabulous acrylic jar that has just been released. The product can be customized using CPL's extraordinary decoration techniques, meaning companies are able to offer a luxurious product to their customers that can match the specific characteristic of their own brand. Click here to customize CPL's acrylic Diamond bottle and customize CPL's acrylic Diamond jar. Demand for aesthetically pleasing, yet sustainable, packaging is growing at an incremental rate, and millennials increasingly exert pressure on players within the beauty market to meet these requirements with novel solutions. Headquartered in China, Creative Packaging Labs maintains that, in such a competitive environment, innovation is key, demonstrating an acute awareness of not only aesthetic, but also sustainable, trends. Lucy Ouyang provides a fascinating insight into how CPL keeps up with the times, adopting a forward-thinking business approach and focus upon product development, which means that the company can look forward to an exciting future ahead. CPL Packaging introduces a collection of hick-walled PET bottles & acrylic jars. With special printing decoration, the company presents ABS closures featuring a novel wood-like texture. CPL Packaging has introduced a new acrylic bottle with lotion pump as the perfect addition to complement the company's previously launched diamond jars. The new bottle design is currently offered in two size options: 15ml and 50ml. CPL has created an offering especially for women of substance who like the finer things in life and demand nothing less than their own diamond! 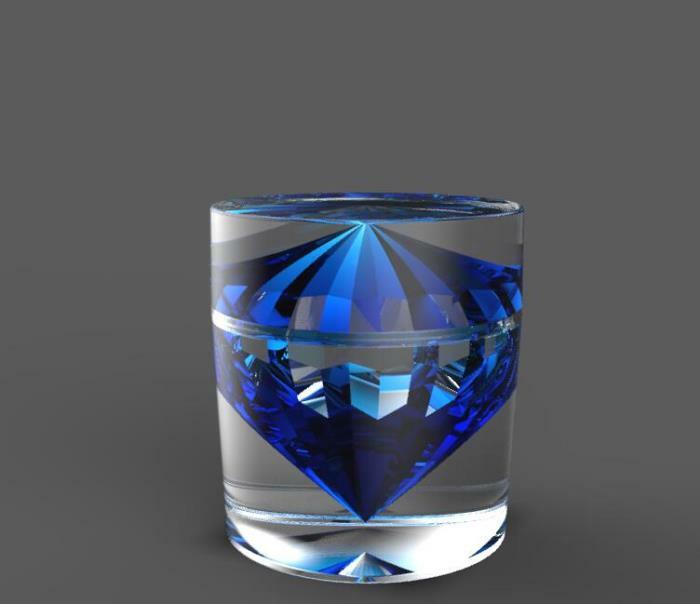 The Chinese professional packaging manufacturer is offering ladies the opportunity to own their own diamond, encased within an acrylic jar which not only protects the diamond through the strength of its material, but also provides excellent clarity ensuring that the diamond can be easily admired or further enhanced with print decoration offered by CPL. CPL, located in the heart of Asia's industrial belt, has been tempted on occasion to compete with other firms by slashing prices and going for the quick sale. According to Lucy Ouyang, in charge of sales and marketing at the company, that's exactly the sort of business in which CPL decidedly does NOT want to be. CPL, long recognized for its innovative packaging concepts for the cosmetic sector, has just released a fantastic new concept specifically designed for nail polish remover. The new container and closure combo features a small dish just above the closure aperture where the solution is dispensed upward, creating a convenient little reservoir the ability to dip cotton swabs or balls during usage. CPL knows that diamonds are a girl's best friend, so the latest offering by the Chinese company is an acrylic jar with a diamond inner, ideal for creams, balms and gels. Designed to be seen, CPL's Diamond jar line features a well-cut diamond balanced on its tip that entices the consumer into the jar. Eye-catching, functional packaging is the name of the game for Chinese company, CPL, or Creative Packaging Labs. The company offers novel and creative solutions for its aluminium lids, complementing the metallic fashions seen on the high street. Available in standard sizes, CPL's lids can be decorated in multiple styles and colours, taking on different designs, or using embossing or debossing techniques to enhance a brand line. They say that if you like it, you should put a ring on it so that's exactly what the creative packaging design team at CPL Packaging Industry Co have done to the Chinese company's latest line of jars and bottles. CPL has gone 'black' to basics with its standout line of glass jars and bottles in a rich and distinct black tone as the company shows that less is more as the clear cut range is 100% black, yet dressed to impress in its chic simplicity. The latest innovation from professional packaging manufacturer CPL (Creative Packaging Labs) is the handy-sized line of Snow White bottles and jars. The pint-size range currently comprises 2 bottles and 3 jars in sizes that fit neatly into the hand. For the consumer, the collection offers a product line of clear quality that can be both seen and felt making it suitable for a range of products types from beauty to neutraceutical. CPL has just released an expansion to its DG line of bottles and jars. The company, long recognized for its innovative packaging concepts for the cosmetic sector, has created new sizes for the DG line as well as a variety of new decoration options, garnered from experience with customers adopting the line for their own launches. Chinese packaging company, Creative Packaging Labs has produced a small product line of bottles especially for essential oils. The new line has been introduced as a result of careful market research and designed with functionality in mind throughout. There are 3 bottles in the collection all of which are under 100ml in size reflecting the long-lasting nature of essential oils when used correctly: 30ml, 50ml and 100ml. Nothing seems as wholesome as that image of farm-fresh milk in old-fashioned bottles, hearkening back to simpler times and reminding one of a past when things were less complicated. CPL has released a line of quaint personal care product containers that remind the consumer of that bygone era, when the milkman would leave jugs on the stoop and life was perhaps just a little slower, less complicated, and a bit more natural. These old-school looking containers are perfect for a wide array of creams, milks, and other creamy products. While many firms rely on releasing a few specific models of packaging components, CPL goes far beyond that. Week after week, month after month, Creative Packaging Labs releases new and innovative shapes and concepts to give prospective clients an incredibly wide array of options from which to choose. In keeping with this spirit, the firm has just released its CJN line of jars, which we've come to refer to as the "Persian" line here at the Webpackaging offices. Creative Packaging Labs (CPL), highly regarded for its forward-thinking activity within the cosmetic packaging sector, has just released a new line of plastic bottles and caps that are finished in a special coating that is styled to look just like wood. The bottles are available in many different sizes and jars of under 500ml size can also benefit this "wood" coating decoration style too. CPL (Creative Packaging Labs), has released a series of bottles and jars for cosmetic and personal care products that go beyond the visual, offering the consumer a 3D experience. The new Grid line of containers is decorated with an outer shell that is composed of a fine raised grid on it's interior that's both attractive and well crafted. CPL, highly regarded for its forward-thinking activity within the cosmetic packaging sector, has just released a new line of standard PET bottles that are topped with finely-tooled bamboo closures. The new combo sets offer a touch of the natural with regard to packaging anything from personal care products to cosmeceuticals to high end, natural cosmetic items. CPL (Creative Packaging Labs), one of Asia's premier firms with regard to the creation of innovative packaging for the cosmetic sector, has released a series of jars we've affectionately come to call the "Flying Saucer" line at the Webpac offices. The new jars feature an interesting shape that's as distinctive as it is attractive. The Creative Packaging Labs has branched out of late, breaking the mould (not the production variety, the figurative sort) by creating simple and easy to use droppers that are perfect for companies in the nutriceutical game The low-cost droppers are produced using exacting material and production standards to ensure high compatibility and functionality. Some time ago, CPL (known to many as Creative Packaging Labs) began to work on glass to round out its offering to the cosmetic sector and to offer clients an even more comprehensive service. 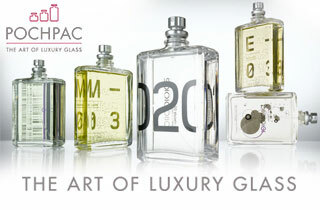 The result of the company's entry into the glass space has been nothing but positive, and the company's new direction has culminated in a gorgeous new perfume line made of exceptionally clear luxury perfume bottles. In order to offer even more options to its existing and prospective customers, CPL (Creative Packaging Labs) now offers a simple and efficient airless solution that represents a new paradigm for the category. In a move to offer more choice to its clients, Creative Packaging Labs has developed a new dropper combo made of fine glass, with a variety of decoration options available to make the product really stand out on the shelf. Here, CPL has combined form and function, by designing a set with a high level of utility in an eye-catching shape. CPL, a renowned Asian innovator for the cosmetic and personal care sectors, has released new pot combination packs for nail gels. Originally designed to satisfy client requests for a full professional solution for salons and spas, the nail pots are quickly finding a niche in consumers' homes as an excellent solution for managing different nail polish colours and textures. CPL, highly regarded for its forward-thinking activity within the cosmetic packaging sector, has just released the new ABS plastic cap. This product is highly customizable, with limitless printing design options tailored to client needs. To achieve such high customization, CPL applies a water transfer printing technique, ultimately leading to top-quality results and impressive designs. CPL, long recognized for its innovative packaging concepts for the cosmetic sector, has just released a new line of small airless bottles specifically designed to house luxury or masstige eye treatments. The new containers feature a spatula-shaped dispenser head that provides excellent application control. Long recognized for its innovative packaging concepts for the cosmetic sector, CPL Packaging Industry has just released a new glass jar in a lovely rounded shape that sits flush with the lid. The new round jars can be coated in any colour according to the customer's preference. CPL, long recognized for its innovative packaging concepts for the cosmetic sector, has just released a new line of jars. The noteworthy feature of the jars is that they come enclosed in a wooden packaging box, which shows the influence of a natural and ecological sense in the line. CPL, long recognized for packaging innovation within the cosmetic sector, has just released the new HBE line of bottles and jars, with a clean and minimal look well suited to luxury or masstige items. CPL, long recognized for its innovative packaging concepts for the cosmetic sector, has just released its square acrylic series of jars and airless bottles. This range of jars and bottles from CPL sports a luxurious, glassy look that will catch the eye of many high-end consumers. CPL, a firm renowned for being a leader in the cosmetic packaging industry with regard to product quality and innovative solutions related to the environment, has produced a new line of incredibly attractive and functional aluminium bottles designed to house luxury or masstige cosmetic or personal care creams thanks to a high-compatibility interior made of high-quality PP. CPL, long recognized for its innovative packaging concepts for the cosmetic sector, has just released its Lace series, a range of bottles and jars that are topped with closures sporting a luxurious, silky feel that catches the light and creates a tactile experience that shoppers find difficult to resist.